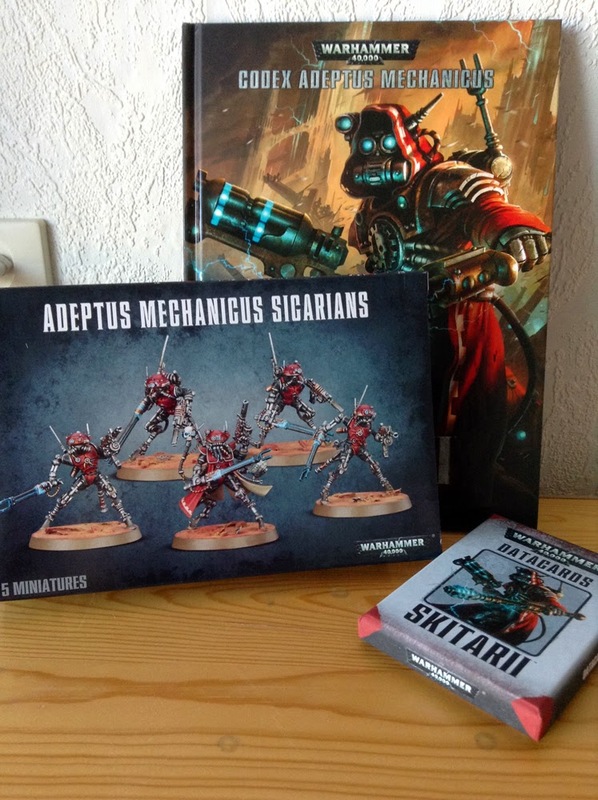 After some thought I decided to hop in the bandwagon and start a small 500-ish pts allied force of Skitarii. I really like their designs and I've always found these tech nerds from Mars interesting. With this new addition to my ever growing horde of plastic men (not to mention my painting list), I want to drop/postpone my plans for a Lizardmen army. *sob* But no worries, the Temple Guards will get painted... eventually. Anyways, my plan with the Skitarii is to build and paint them in one go... after I finished some smaller projects first of course (like Waaagh! Black'eart and some Astral Claws stuff). Mordian7th's blog is my inspiration for this plan (he's assembling and painting his Imperial Fists army in one go too). Hmm.. it does look familiar... oh right, my custom Space Marine chapter has almost the same scheme! (I want to revise that one though, I'm afraid it doesn't work that well on space marines...) The reason that I went for this colour scheme is that I didn't want to have another red army. There were some black schemes but I don't think they'd work on the tabletop. This will really draw attention on the table. I like it! 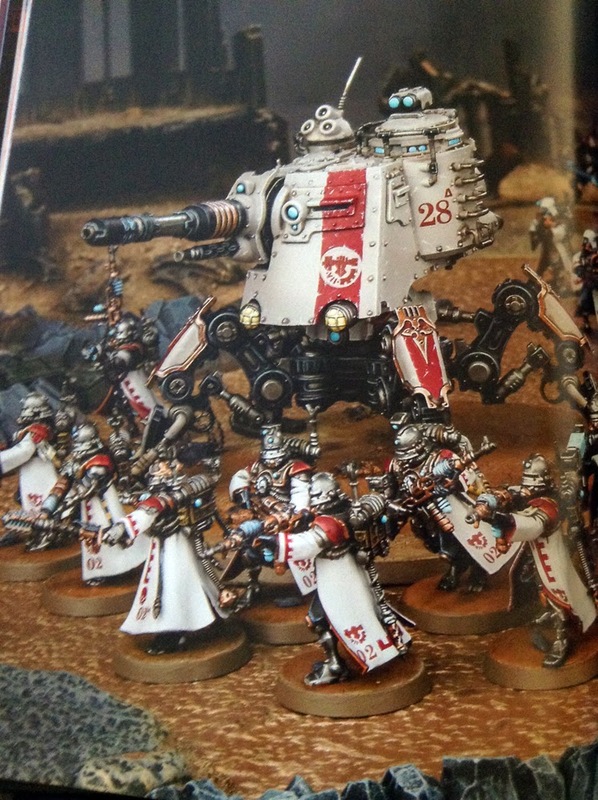 Like I said, there are things that need to be done first and I want to buy some more units for these guys, so you're not gonna see AdMech related stuff soon but somewhere in the near future. So watch this space!